As experienced authors know, writing is a process, consisting of brainstorming, drafting, writing, and editing. Breaking a big project—a novel or full-length memoir—into chunks makes the work more manageable and the writing process less overwhelming. Here are twenty-four tips, six for each aspect of the writing process. 1. Type—or, if you prefer, handwrite—for 15 or 20 minutes. 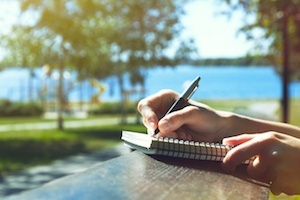 Write as quickly as you can, jotting down anything that comes to mind, without stopping. Don’t think about what you’re writing; don’t edit; don’t worry about where the writing is headed. Just write. The goal is to tap into the subconscious, accessing ideas that might otherwise be inaccessible. …imagine the unique problems faced by a minor character, then free write or jot down ideas related to their story. Wicked, by Gregory Maguire, to cite one example, tells the untold story of the Witches of Oz. 3. Reread your favorite classic tale, then reimagine the story in a different time period. A Thousand Acres, by Jane Smiley, is based on King Lear, and is one of many contemporary novels that’s drawn inspiration from the classics. 4. Choose three words: one noun, one verb, one adjective. 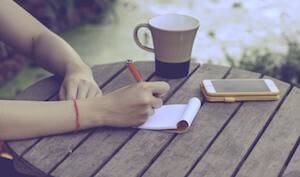 Free write or create a map, associating the three words you chose with new words, until larger connections begin to take shape and an idea for a story emerges. 5. Think of a situation—one you’ve experienced, read about or heard—and ask yourself, what if? For instance, you recently moved to a new house. What if the house were haunted? A young woman you knew gave up her infant daughter for adoption. Years later, her grown son falls in love. What if his love were actually his biological sister? 6.Think about the things that frighten you, go bump in the night—or a bad experience you’re trying to work out in your head—and record your thoughts and feelings in a journal. The journal is for your eyes only, so try to write as honestly as possible. Writing will provide a welcome catharsis—and might later become the basis for a memoir or novel. 1. If you normally outline, try freewriting. If you normally free write, try outlining. Because it’s likely foreign to you, this exercise may feel awkward and uncomfortable. It may also change the way you think about and approach your work. …such as place details, relationship notes, or the meaning of your characters’ names, anything you may wish to use later to round your characters and provide richness and texture to your story. 3. Save any deleted scenes or paragraphs that strike you as important in a file marked deletions or edits. As your story evolves you might realize you absolutely need a scene you hated or thought you couldn’t use. Rather than start over, and risk losing or forgetting compelling details, simply open the file and insert or rework the section you cut. 4. Flick those pesky internal editors off your shoulders. A great deal of the time, writers block is born of anxiety. If you’re afraid people you know will judge you or your work, try the technique Anne Lammot suggests in her wonderful book, Bird by Bird: Picture your critics as mice, pick them up by the tail, and drop them in a jar. Watch them claw at the glass; listen to them scream; hear them shout their terrible accusations. Turn up the volume, listen to the angry voices, then turn the volume to mute, and watch the frantic mice lunge at you, then put the jar away, and write. 5. As a corollary or alternative to tip 4, imagine your friendliest reader, someone who adores you and loves your work. Picture your reader listening to your story with anticipation, eager to hear more, and imagine writing for him or her. 6. When you’re drafting, don’t agonize over details or worry about fleshing out characters or scenes. All of this can be done in a second or subsequent draft. As your story evolves, you may discover that details you spent hours or days or weeks developing no longer fit. Instead, finish your first draft as quickly as possible, evaluate, and fill in from there. 1. If you’re stuck, try changing the point of view. If you’ve been working with a single pov character, try two or more. Change protagonists: give a different character the lead role. Or change from third person pov to first or second. 2. Print out an important scene, chapter, or your entire book. With a scissors, cut the scenes into sections—any change in action, shift in time, or movement from action to narrative begins a new section. Rearrange the sections, randomly or with a plan in mind. Note the way/s that changing structure alters your story. 3. Structure is the frame for your story; change the frame and your story naturally changes. Experiment. Start at the end of your story and work back to the beginning. Move forward and backward in time. Break the story into sections or chapters that reinforce your theme. For example, if you’re writing a novel about a chef, use a recipe as the name and focal point of each chapter. Rewrite, using a character who’s not involved in the action to narrate the story. 4. Change tense: if your story is told in present tense, change to past, or change past tense to present. Each tense has advantages and disadvantages. Stories told in present tense feel immediate, as readers experience the action along with the protagonist. Being so close to the action, however, the protagonist typically lacks perspective. Stories told in past tense, on the other hand, assume the narrator is looking backward, from the vantage point of distance. Stories told in past tense can be more leisurely and include details a protagonist focused on action might miss. 5. Write first, research later. Research, especially if it yields fascinating information, can easily become a distraction, or a means of procrastination, preventing us from writing. Eager to share all the wonderful nuggets we’ve gleaned, it’s tempting to put everything in, which is why heavily researched fiction sometimes feels overwritten or dry. Finish your draft first, then do any mandatory research—looking up only those facts necessary to tell your story convincingly. 6. If possible, try to write every day, or every weekday, even if it’s only for 20 or 30 minutes. Writing consistently keeps the story at the forefront of your mind, inviting ideas to pop up unexpectedly. 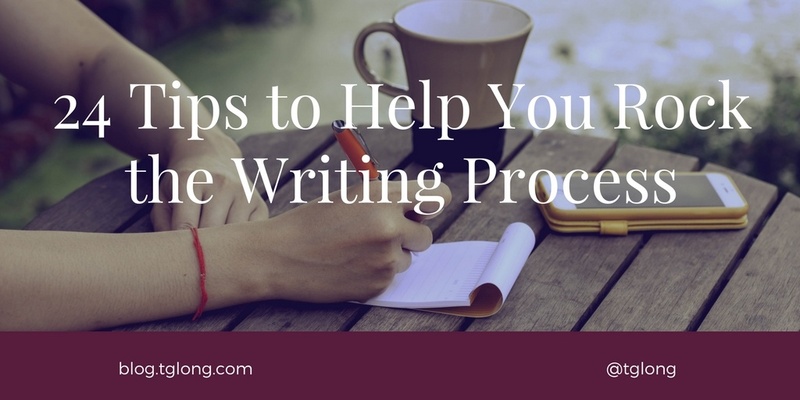 And regular practice, which we all need—even the best, most experienced writers—helps us to continue honing our craft and keeps our writing fluid. 1. Proofreading is not editing. Editing considers plot, structure, character development. Copy editing checks logistics, and looks for breaches in accuracy and continuity. Line editing focuses on craft—paragraph and sentence structure, and the use of language. Proofreading, which should be tackled only once the story is perfect, or as perfect as it can be, focuses on mechanics—i.e., grammar, spelling, and punctuation. 2. Edit from universal to the particular or big picture to small. Consider the story as a whole, asking yourself questions about structure, checking for plot holes, missing info or poor sequencing, strengthening and rounding out characters. Once big-picture elements are in place, check for consistency and logistics. Did your character move, physically, from point A to point B in a way that makes logistical sense? Have you presented information in a timely, yet intriguing fashion? Are your characters aware of things that, based on their experience. they shouldn’t know? Next, sharpen metaphors, revamp paragraphs; listen to the music in your language; check your word choices. Finally, the last step before publishing or sending your book to your agent or publisher, check grammar, spelling, and punctuation. Except, possibly, for the most extraordinarily disciplined writers (and then I’m not even sure), we all want to save our babies, those sentences, paragraphs, or chapters we sweated over, cried over, dug deeply to produce. The words that bring us to our knees, and we’re sure, certain will move our readers—because, really, how could they not?—even though, honestly, in our heart of hearts, we know don’t belong in the story. Kill your babies. 3. Find trusted beta readers. Your mom loves you unconditionally, and wants desperately for you to be happy—automatically disqualifying her, or anyone like her, as a reader you can trust to tell you the truth. Beta readers should give you gentle but honest feedback. 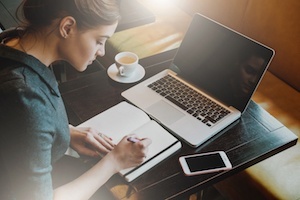 Ask beta readers—or your writer’s group—for thoughts on structure, characters, the emotional punch of important scenes—anything that will bring your work to the next level and make it sparkle. 4. Hire a professional editor. Beta readers rarely have the expertise or experience to figure out why a well-written story isn’t working. 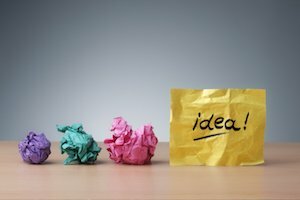 They can tell you how it affects them, provide excellent observations, pick up mistakes, offer suggestions—all of which is wonderfully helpful—but it’s rare for anyone without editing experience to have the technical know-how to restructure a novel or tighten flaccid dialogue or the words to articulate problems with craft. 5. To catch mechanical errors, read backward, without the distraction of content. When we’re reading, our mind fills in details and we tend to skim, skip over words we’ve written and rewritten, and it’s easy to miss even glaring mistakes. 6. In one sentence, describe your book. Pretend you’re pitching a script; you have only a minute with the director or producer, so your pitch has to be brief, precise, and enticing. If you can’t describe your book in a sentence, chances are, you need to sharpen the focus. Do the same for scenes: list scenes in order, jotting a sentence or phrase next to each scene; this exercise will provide a visual map of your book and help you to find holes and discover connections. Bonus Tip: Carry a notebook at all times—and be mindful. Look, listen, observe. Jot down random thoughts, or ideas related to a current or future project; note compelling character details; describe people or places that intrigue you; transcribe conversations you overhear or record the scenes taking place around you—note anything that strikes you as interesting, putting a wealth of fascinating information at your fingertips, ready to serve you whenever you need it. And last, but definitely not least: Dream. Be fierce. Reach for the stars!